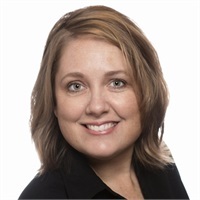 Sandra Myers | Collier Wealth Management, Inc.
Sandra joined Collier Wealth Management in 2015 as a Director of Client Relations for the Collier Wealth Management team. Sandra’s role is to ensure our team delivers a consistent ideal client experience. She holds her Tennessee life insurance license, and has held her securities registration since 2004. Securities registrations are currently held through LPL Financial. Sandra resides in Hendersonville with her husband, Dwayne, and one extra-large hound dog mix named Elvis. Originally from Tullahoma, she now loves calling Hendersonville her home. She loves the outdoors, and enjoys walking and biking the Hendersonville Greenway trails, kayaking, and camping. She enjoys theatre, and is a season pass holder of the Hendersonville Performing Arts Company.